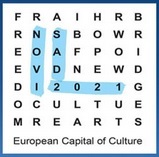 Novi Sad was declared the European Capital of Culture for 2021! Dear authors and participants of the Ee2017, We would like to inform you that the short video that summeries the 19th International Symposium Power Electronics Ee2017 is now available on following link. We would like to thank to all participants of Ee2017 and we hope to meet you all again at Ee2019. We are pleased to announce that accepted papers from our conference are now available through IEEE Xplore digital library effective 2017-12-11. Once again we would like to thank you for your participation and valuable contributions. the Ee2017 PHOTO GALLERY is available for your visit. Thank you again for your participation and valuable contributions. To view the Ee 2017 Preliminary program with time shedule -- updated on October 13, 2017, please click on the link. To view the Ee 2017 Preliminary program with time shedule -- updated on October 11, 2017, please click on the link. Only few more days until our Virtual HIL hands-on training! We have reserved you a seat, and we look forward to seeing you in person! If you still didn't reserve your seat, please do it here. The course venue and time will be updated at news section of the 19th International Symposium POWER ELECTRONICS Ee2017 website. Before coming to the training course, please download and install Typhoon HIL Control Center on your PC which you plan to bring to the workshop. During the training we will be using the Virtual HIL, so please use the following license activation key: XBRHE-605L3-NS1QV-WKJDF-46C01. To view the Ee 2017 Preliminary program with time shedule -- updated on September 24, 2017, please click on the link. To view the Ee 2017 Preliminary program with time shedule -- updated on September 21, 2017, please click on the link. To view the Ee 2017 Preliminary program with time shedule -- updated on September 11, 2017, please click on the link. Preliminary program of the 19th Int. Symposium on Power Electronics - Ee 2017 is available here. this is to invite you to register for the set of tutorials which will be presented on the Oct. 18, 2017, the Tutorials day of the 19th International Symposium Power Electronics Ee2017. Registration for the Tutorials of the Ee2017 should be made through on-line FTN-Conference System by creating the user account or using your already created account. All tutorial participants should to register for the one (or more) he/she would like to participate (The content and program of the Tutorials can be found on the home page) using the list that can be found under Your Contribution section. Payment of the Tutorial fees will be done also through the system, under the section your contribution, where you will have to choose option Tutorials fees. We would like to inform you that the FTN-Conference online system has been closed for accepting new papers. Full paper submision deadline extended (FINAL DEADLINE). Full paper submision deadline extended. First Announcement & Call for Papers for Ee2017 is available. The 19th International Symposium on Power Electronics will be held in Novi Sad, Serbia, from October 19-21, 2017. First Announcement & Call for Papers for Ee2017. Highlights of the 18th International Symposium on Power Electronics in Novi Sad, Serbia has been presented by V. Katic in the IEEE Power Electronics Magazine, December 2015 issuee. The Ee2015 PHOTO GALLERY is available for your visit. THANK YOU and SEE YOU AGAIN at Ee2017!